3.1 When is Additional Postural Support Needed? 3.2 How Does Additional Postural Support Help? 3.3 What do Wheelchair Users Want? Posture is the attitude assumed by body either when the body is stationary or when it is moving. Posture is attained as a result of co-ordinated action of various muscles working to maintain stability. Posture in easy terms can be understood as the position in which you hold your body when standing or sitting. Self-Esteem and Confidence: sitting upright can help wheelchair users feel better about themselves. Feet Flat on the Floor or Footrests. Head Upright and Balanced over the Body. 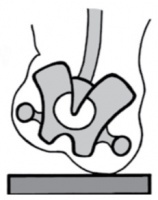 The pelvis is the base for sitting upright. To be strong and stable, a building needs a solid foundation. in the same way, to be stable when sitting the pelvis must be strong and stable. When the wheelchair user is sitting upright, the pelvis should be level when viewed from the front and upright or slightly tilted forward when viewed from the side. 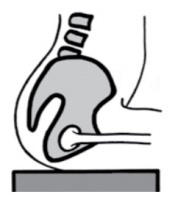 Any changes in the position of the pelvis will cause a change in the other parts of the body. The pelvis moves in different ways. The table below shows four different pelvic movements and how the body changes when each movement is made. The body straightens out with the shoulders pulled back. There is an increase in the curve of the spine above the pelvis. The body becomes rounded with the shoulders forward. 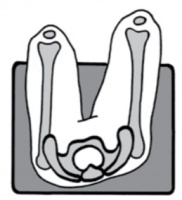 The body laterally tilts or bends sideways. Seat Base Wheelchair seats may be either solid or slung. Solid Seats are not flexible and may be made from wood, metal plate or plastic. pressure-relief cushions for sling seats provided with a contoured bottom surface to accommodate the curve of the sling. seat higher than the rear portion of the seat). A range of seat sizes should be available to fit a range of body sizes. Backrest The backrest provides users the necessary postural support. Backrests may be slung or solid but should all have some element of padding / cushioning. Backrests can have either a fixed or adjustable height which needs to be selected to meet the specific needs of the wheelchair user. Some users require more support from a backrest than others, while for some users, a high backrest can reduce their ability to propel themselves effectively. The angle between the seat and the backrest (seat to back angle) should be between 80 and 100 degrees. Different backrest heights should be available to cater to each individuals needs. The backrest should support the normal curvature of the spine with the middle of the back able to rest further back than the back of the pelvis. Armrest Users should use armrests only for temporary postural support. If needed, other postural support options should be used to keep the user’s arms free for activities such as propelling. Armrests assist in transferring into and out of the wheelchair, for example by pushing up on the armrest. Many users find it easier to transfer into and out of their wheelchair if the armrests are “low-profile”, closely following the profile of the rear wheel or removable. In other words, armrests should be removable, folding or low-profile for easy transferral in and out of the wheelchair. Cushion Cushions provide comfort, maintain pelvic position, relieve pressure, and also provides support to stop the user from sliding forward in the wheelchair. 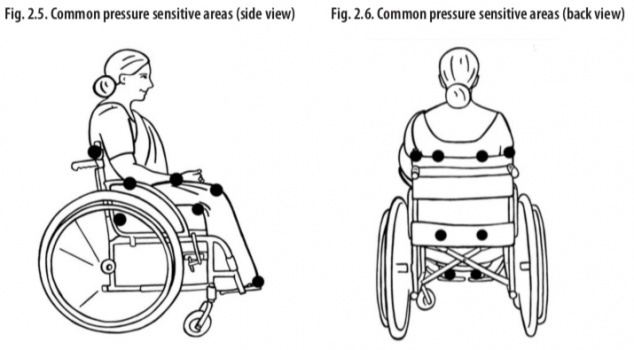 An inadequate pressure-relief cushion is the one component of a wheelchair that is most likely to cause pressure sores, serious injury or premature death. Footrest The footrest provides users with support for their feet and legs. Footrests must be individually adjusted for each user. Correctly adjusted, the footplate reduces pressure on the user’s seat and puts the user in a healthy sitting posture. Footrests may also include a calf strap to keep the foot on the footplate. Sufficient ground clearance needs to be maintained to prevent the footrest hitting obstacles or catching and tipping the wheelchair on uneven ground. The height of the footrest should be adjustable. 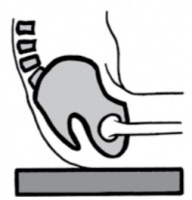 Footrests need to be long or wide enough to support the foot but, at the same time, should not create difficulty while folding or moving around. All elements of the wheelchair should be strong and durable enough to withstand the wear and tear, including static forces, impacts and fatigue stresses placed on it by the user and to keep the user safe. When is Additional Postural Support Needed? How Does Additional Postural Support Help? Improving balance, posture and stability can help a wheelchair user to carry out activities that are not possible or very difficult for them without additional postural support. Additional postural support can make a wheelchair much more comfortable and can increase the time wheelchair users are able to sit in their wheelchair before becoming tired. A pressure sore can develop very quickly. Good postural support helps to prevent pressure sores by making sure that one part of the body is not overloaded. One benefit of sitting upright is that weight is evenly distributed. This helps to reduce the risk of a pressure sore. When a wheelchair user does not sit upright, their weight is unevenly distributed. One part of their body will take more weight than other parts. If that additional weight is on skin, which lies over a bony area, there is a high risk of pressure sores. Examples of bony areas include the seat bones (ischial tuberosity), ribs, hips (trochanters), spine (vertebra) or tail bone (coccyx). When a wheelchair user is not well supported, he/ she tends to slide on the seat. This causes shear, which leads to pressure sores. Sitting well supported prevents sliding and shearing. Good postural support can prevent problems with posture developing. If a problem with posture has already started, good postural support can slow down or prevent this from getting worse. Good postural support in lying, sitting and standing, started as early as possible is important. Some wheelchair users who have difficulty sitting upright also have problems with swallowing safely. For these people, eating and drinking can be uncomfortable, sometimes frightening, and often dangerous. When people have difficulty swallowing safely, small pieces of food and drink may go into the lungs. This can cause a chest infection, making them very ill or even choking leading to death. Additional postural support in a wheelchair ensures that the wheelchair user can sit upright when eating and drinking. Improving postural support is just one part of the solution for anyone who has problems with swallowing. If at all possible, children or adults with problems swallowing should be referred to someone who has experience in managing this. This could be a paediatrician, speech language therapist, or any allied health or community health worker who has knowledge and training in helping people manage problems with swallowing. What do Wheelchair Users Want? For example, additional postural support should not interfere with transferring in and out of the wheelchair, propelling the wheelchair, accessing desk or workspace and transport. look good and not be too ‘obvious’. the wheelchair user may feel the additional postural support does not look good and makes his/her disability more obvious. always let the wheelchair user make the final decision. ↑ 2.0 2.1 2.2 William Armstrong, Johan Borg, Marc Krizack, Alida Lindsley, Kylie Mines, Jon Pearlman, Kim Reisinger, Sarah Sheldon. 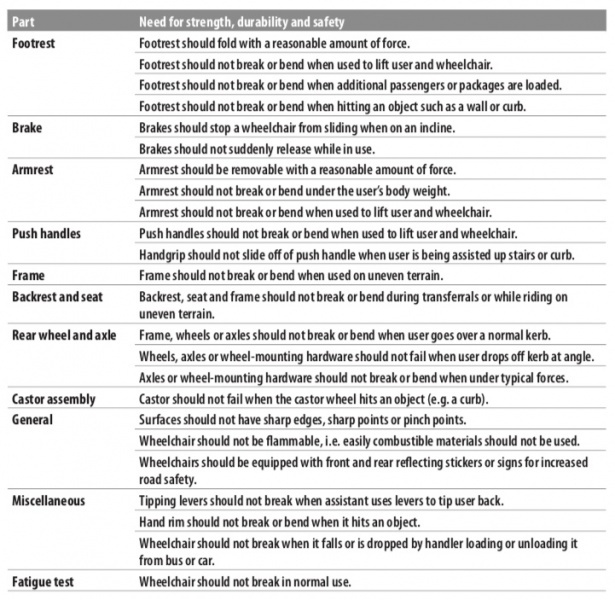 Guidelines on the Provision of Manual Wheelchairs in Less Resourced Settings. World Health Organization; Geneva: 2008. ↑ Gardiner MD. The Principles of Exercise Therapy. Bell; 1957. ↑ William Armstrong, Johan Borg, Marc Krizack, Alida Lindsley, Kylie Mines, Jon Pearlman, Kim Reisinger, Sarah Sheldon. Guidelines on the Provision of Manual Wheelchairs in Less Resourced Settings. World Health Organization; Geneva: 2008.